In the Middle Ages Dunwich was a thriving port and busy town. Now it is little more than a hamlet, and much of the medieval town is lost beneath the waves, a victim of shore erosion. 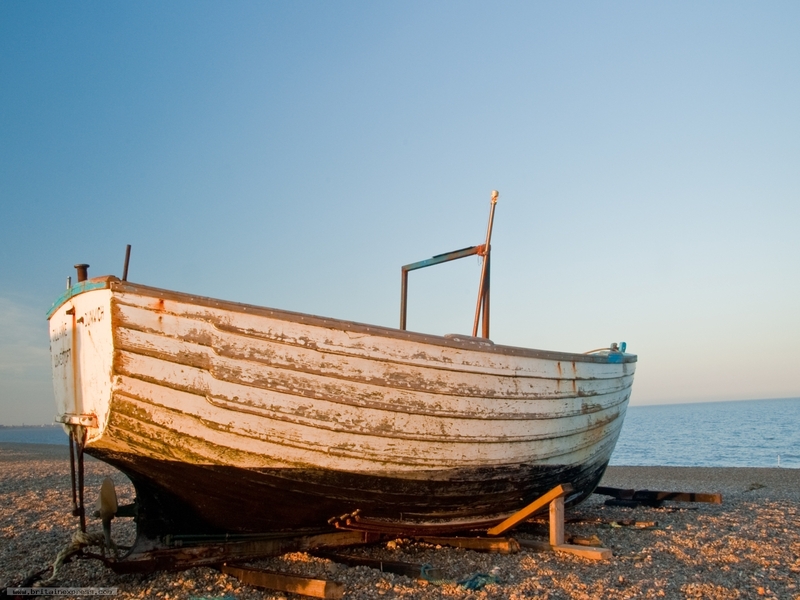 It is still a popular destination for fishermen, and people who come to walk the long, shingle beach. Here a boat is drawn up on the crest of the shingle.